The crew arrived at Middleton St. George on August 19th. 1943 from HCU No. 1659. From the night August 22/23 through to April 1st. when the crew completed their 1st. Tour. The crew was on the Base until April 22nd when the crews two gunners P/O David Turbitt and F/S Truro were posted to No. 24 OTU as instructors. P/O Thomas Johnson and P/O Jack Barlow were posted to No.1666 on April 27th. The crews F/E Sgt. Ernie Baylis was posted to No. 20 OTU on May 8th. At some time after crossing the Channel, the main radio went unserviceable. 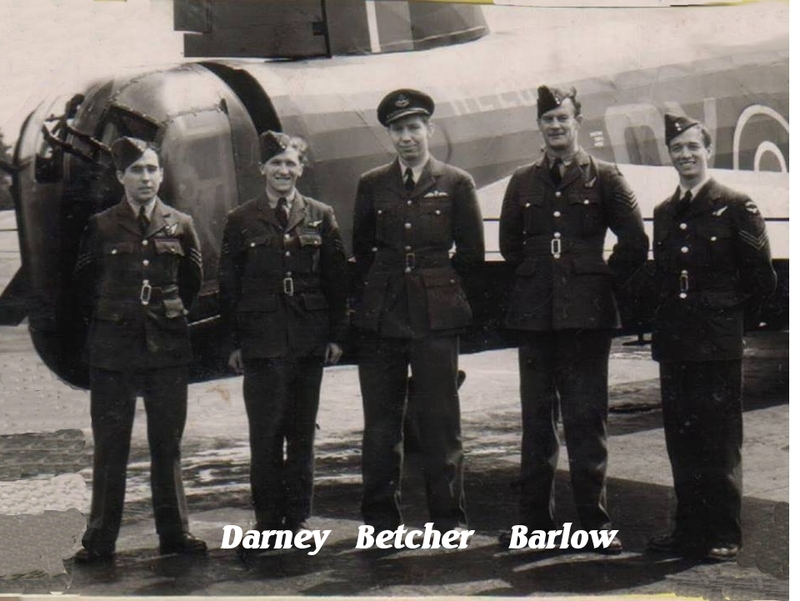 It gave WAG WO Darney a chance to show his skills at making a repair of the radio in the dark while the aircraft continued on to the target. He also stayed on with the air force in Lancaster operations after the war. Betcher threw his Halifax, JD456, into a starboard corkscrew while rear gunner Sgt. Robb gave a short burst of 100 rounds at the enemy fighter. The fighter did not fire at the Halifax and then broke away below not to be seen again. 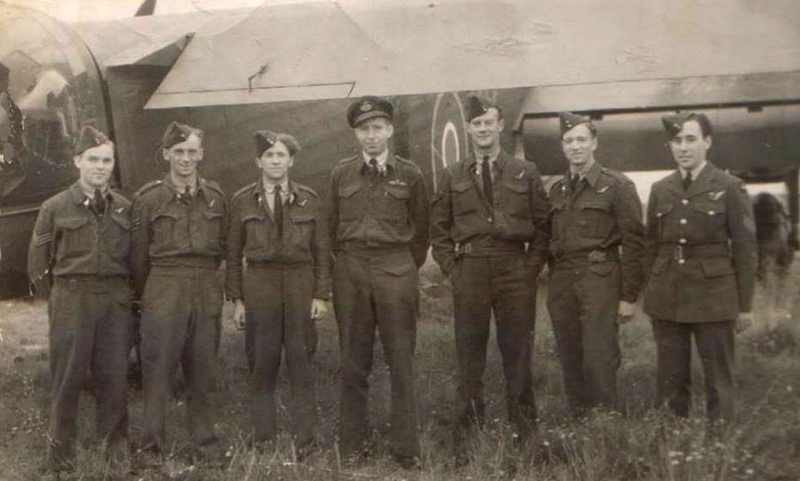 The following night the crew's Halifax, on this trip DT731, was attacked by fighters. No Combat Report can be found but the damage listed was holes in port rudder, port aerial shot away, holes in port wing, some in fuselage. The starboard inner engine casing also was holed by the fighter attack. The Rear Gunner also had a close call when hits were made under his seat. All the crew remained unharmed and Betcher safely brought the Halifax back home.